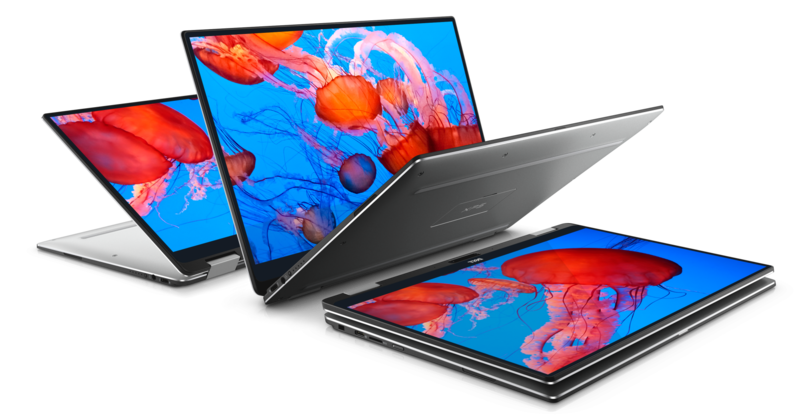 Dell is hoping to redefine the personal computing market with several new products and upgrades announced at CES 2017 in Las Vegas. We’ve broken down their top releases below. 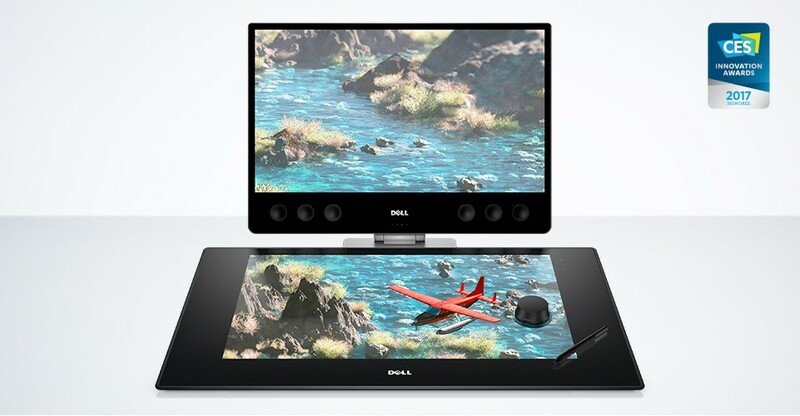 The company has announced its expansion of the Dell Canvas – a new category of smart workspace technology for content developers and designers. The 27-inch QHD device can be used at an angle or flat on a desk, and supports the use of touch, digital pen and totems. Dell is collaborating with Microsoft Corp. to include Windows 10 with every Canvas. It’s also been designed to seamlessly integrate with a wide variety of software and applications. 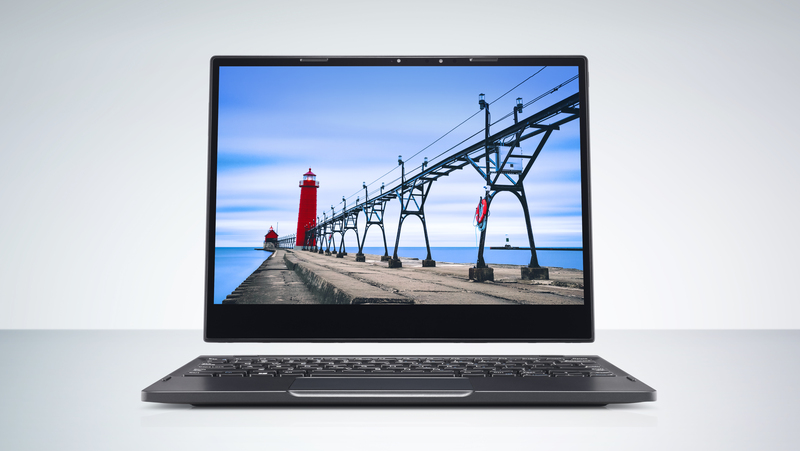 Dell has released the XPS 13 2-in-1, which offers a 360-degree hinge “for multiple productivity and viewing options,” according to a company press release, as well as up to 15 hours of battery life and QHD+ (5.7 million pixels) InfinityEdge touch display. It also boasts a quick-booting solid state drive and can be configured with seventh generation Intel Core vPro processors. It was released on Jan. 5, exclusively on Dell.com and at Best Buy in the U.S., starting at $999.99 USD. Dell’s XPS 15 has also been updated with the newest Intel processors, as well as a fingerprint reader for password-free logins. The new XPS 13 2-in-1. 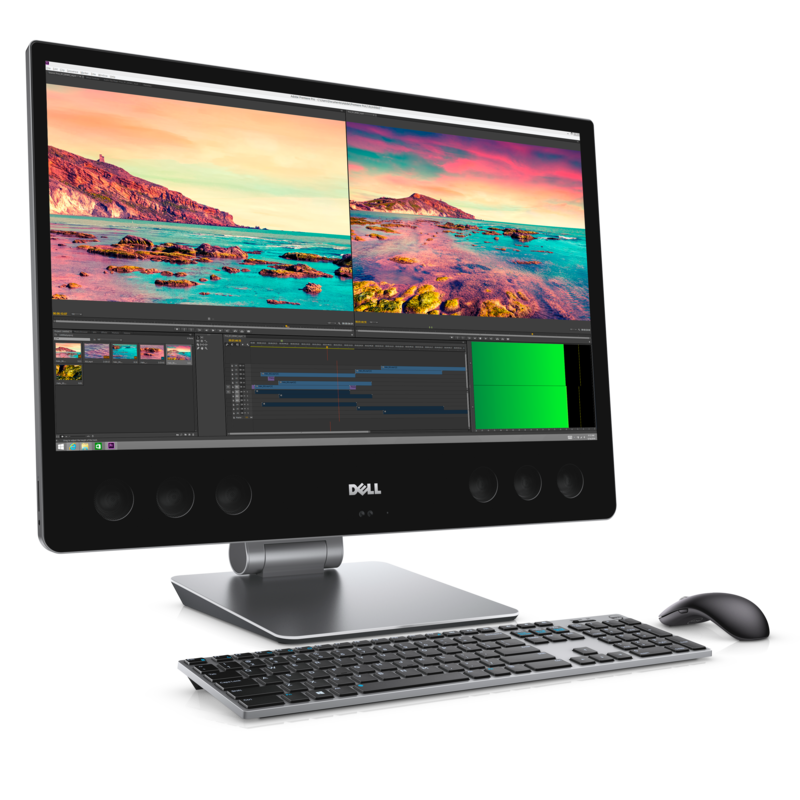 Dell has upgraded the built-in sound on its XPS 27 all-in-one (AIO) PC, and its Precision business sibling, incorporating 10 speakers. The devices support full frequency high fidelity audio, and come with a 4K Ultra HD (3840 x 2160) edge-to-edge touch display. The Precision AIO comes with more performance options, such as Intel Xeon processors, AMD Radeon Pro graphics, and more security software. The newly upgraded XPS 27 all-in-one (AIO) PC. 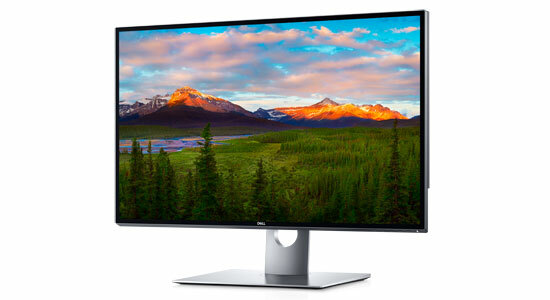 Dell has unveiled its UltraSharp 32 Ultra HD 8K Monitor, the world’s first 32-inch 8K resolution display, according to the company’s press release. “It has more than 1 billion colours, 33.2 million pixels of resolution, 100 per cent Adobe RGB and sRGB colour gamut, in additional to an unprecedented 280 ppi – which is four times more content than Ultra HD 4K resolution and 16 times more content than Full HD,” the release states, emphasizing that this technology is perfect for photo and video editing, medicine and diagnostic research, and oil and gas exploration. The company also announced several new monitors that will be getting enhanced HDR features, including the Dell 27 Ultrathin Monitor, and the Dell 24 and 27 InfinityEdge Monitors. The UltraSharp 32 Ultra HD 8K Monitor. Dell announced that it is working on wireless charging for laptops by incorporating WiTricity magnetic resonance wireless charging technology into its 12-inch Latitude 7285 2-in-1, which is expected to be available in May. “When combined with a charging mat and WiGig wireless dock, users can take the Latitude 2-in-1 with them without disengaging any wires or a physical dock. And when they return to their desk and set the 2-in-1 on the charging mat, it begins charging, automatically reconnects to the WiGig dock and content appears on the external display,” the company’s press release explains. The 12-inch Latitude 7285 2-in-1. The company also announced upgrades to its line of XPS, Inspiron and Alienware consumer devices, as well as its OptiPlex, Latitude and Precision commercial products, including seventh generation Intel Core processors, USB-C with Thunderbolt 3 connectivity options, and updated graphics cards from NVIDIA and AMD.